This blazer is right up my alley. Hot pink, hiding out under the collar and in the cuffs! Yes please! I waited this blazer out from Banana Republic 'til it went on mega sale. 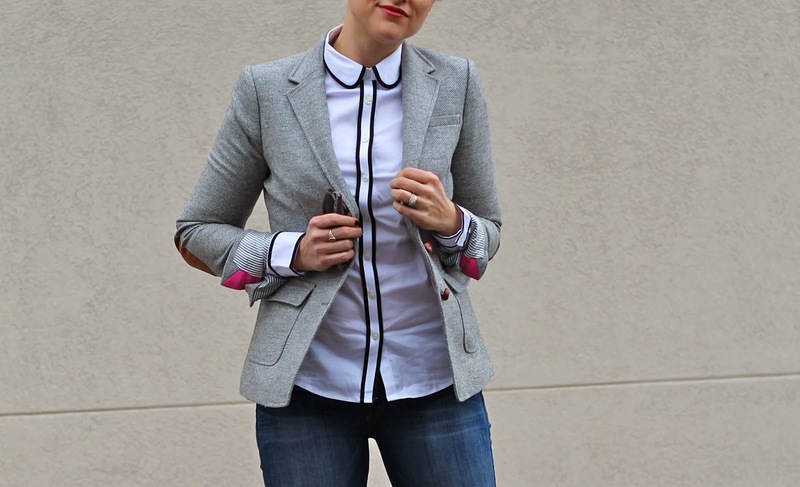 I had such a hard time deciding between the light blue, light pink, or gray version of this elbow patch blazer. Ultimately I decided that I, unlike most people, have enough color in my life and could use a neutral blazer. The details make it stand out, even in this simple shade of gray.